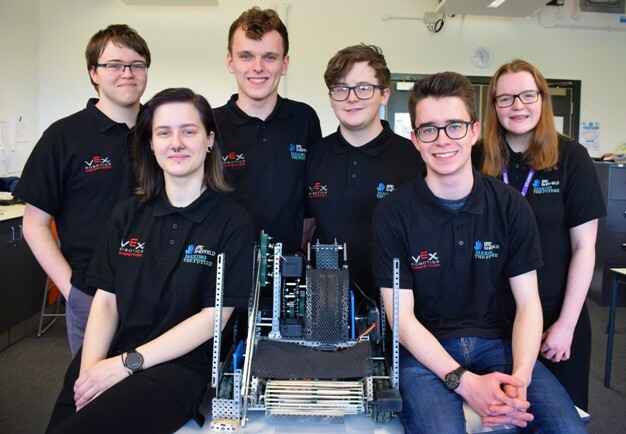 Six students in Year 13 from the UTC have been selected to represent the UK in the VEX Robotics World Championships in Louisville, Kentucky, from April 24 to May 1. He added: “It is also testament to the high level computing skills they have had the opportunity to develop at the UTC, which are much sought after by employers. The UTC model works for those who are technically and academically able to succeed. A small, specialist institution where every child is known, UTC Sheffield Olympic Legacy Park recruits young people, aged 13 to 19, from South Yorkshire and North East Derbyshire. The UTC has total capacity for 600 students. Students can join in Year 9 at the age of 13 or in Year 12 at the age of 16.